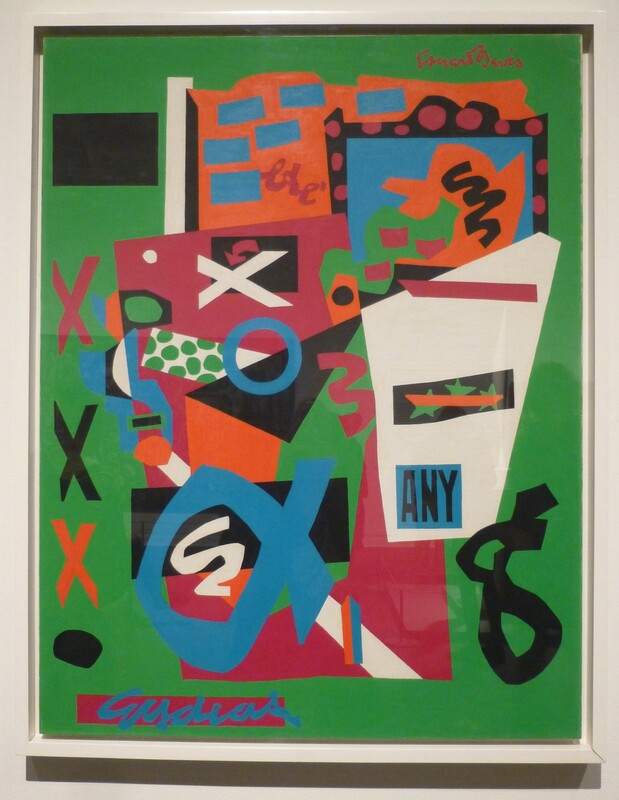 To Stuart Davis (1892 – 1964), the French word Semé (Sown), the title of this 1953 painting, connotes lots of things strewn about. The composition presents a lively jumble of variously sized and colored shapes that collide and overlap, creating juxtapositions enhanced by the work’s punchy, discordant palette. The word “any” evokes equality among all the elements in the picture; “Eydeas” is a fusion of the words “eye” and “ideas.” Davis’s flat, graphic style of painting and the incorporation of text suggest his appreciation of commercial advertising and, thus, his deliberate fusion of “high” and “low” art. Photographed in the Metropolitan Museum on Art in NYC. I did not realize Stuart Davis was born in the 1800s! Wow.